It's Your Call will inspire and empower you to grab hold of your destiny and never let go. 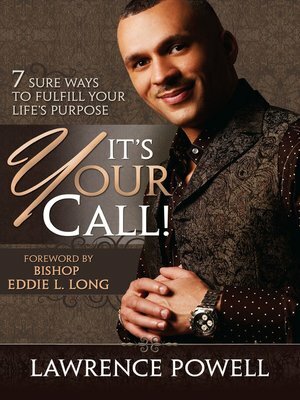 Seven chapters skillfully present a powerful and practical guide to overcoming the most difficult challenges in the quest to fulfill your God given purpose. Compelling insights and humorous personal anecdotes provide tools necessary to help you reach maximum levels of productivity in your ministry, business and personal life.